In the 1890s, an iron viaduct was built to provide passage over the many railroad tracks to the west. That first viaduct sprang from 8th Street and extended approximately 2000 feet, serving until the 1950s. The concrete and steel Harris Overpass replaced it in 1955, springing from 9th Street rather than 8th Street. A second Harris Overpass replaced the half-century old structure in 2008-9, with improved design features that produced a brighter, cleaner O Street in the Haymarket. These improvements included a ceiling which successfully eliminated pigeon roosting above the streets and sidewalks. Before the first viaduct was constructed, the north side of O Street in the 700 block was the location of lumberyards, beginning in the 1880s and operated by Stewart Chute & Company and a succession of other owners. 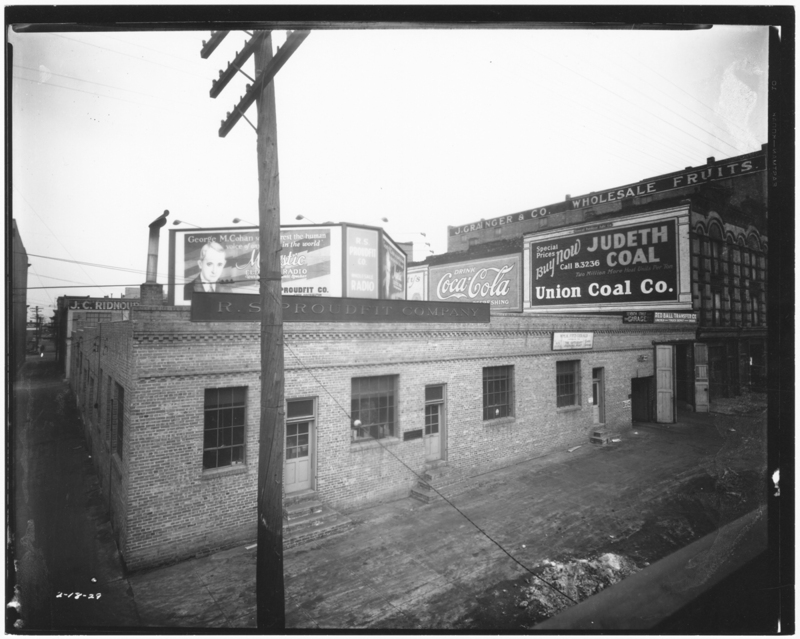 Single story brick buildings replaced the lumberyards, in 1915 at 700 O Street and in 1924 at 720 O Street (left and right of the mid-block alley, respectively). The west structure was built at a cost of $6,000 by Proudfit Lumber Company. In its early years, Cudahy Company, meatpackers, operated a cold storage facility in the building. The larger, eastern structure was built in 1924 later for $12,500 by R. S. Proudfit Company, a wholesale distributor of radios and refrigerators. 720 O Street was renovated for office space in 2003.